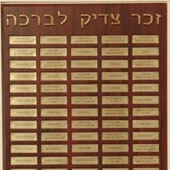 Contributions to any of the Or Chadash Temple Funds are welcomed and appreciated. Your contribution is a great way to show appreciation or to mark a significant event. 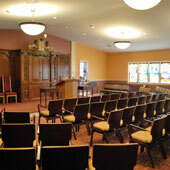 All checks should be made out to Or Chadash – The Reform Temple of Hunterdon County. A note will be sent to the recipient of the tribute, and the donation will be recognized in the Or Chadash Newsletter. To make a donation, please choose a fund from the drop down menu and click submit, or choose a special dedication from the list below and click the appropriate link. You can enter your donation amount on the page that follows. You will also be given an opportunity to add comments, explanations, notations, or anything else that you want the Office to know about your donation. Click here to order your leaf or foundation stone. 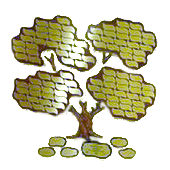 A Memorial Plaque dedication to honor the memory of a loved one can be purchased for $500.00. Click here to add a special name to the Memorial Plaque. You may dedicate a chair in the Sanctuary to commemorate an occasion, as a gift of gratitude or to honor the memory of a loved one. The cost of $218.00 includes a three line dedication on the chair. Click here to purchase and dedicate a Sanctuary Chair.